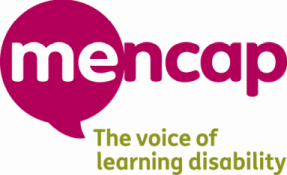 Mencap is the leading voice of learning disability. Everything we do is about valuing and supporting people with a learning disability, and their families and carers. Our vision is a world where people with a learning disability are valued equally, listened to and included. Developing a chatbot that will provide basic legal advice on social care issues and so increase the ability of care workers to understand and use the law to support people with learning disabilities and their families.